Our new generation Physical Refinery Plants are ideal solution for your oil milling company to minimize the processing cost & processing loss. This process is most common used in palm oil & rice bran oil and other high FFA oils. KMEC are the best physical refinery plants supplier in China which has been in the oil milling machinery business for more than 10 years. 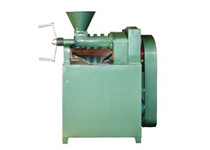 We offer the best oil milling solution for both small and large scale company. In physical refinery process, the free fatty acids are removed from oil during deodorizing. The alkali treatment is completely avoided. This reduces the load on effluent treatment. This process is becoming more and more popular. 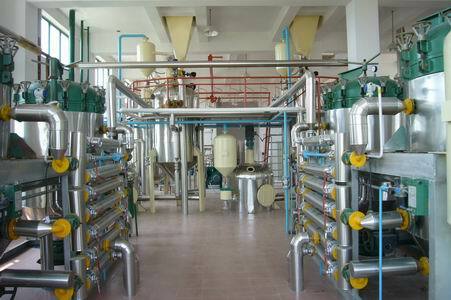 The process has been successfully engineered for physical oil refinery plants both in China and overseas by KMEC. Deodorizing is nothing but the DISTILLATION process in which fatty acid is distilled from oil under high temperature condition and in the presence of high vacuum, with the help of agitation steam. Further this fatty acid in vapors form is condensed & recovered in liquid form by the vapors scrubbing system. 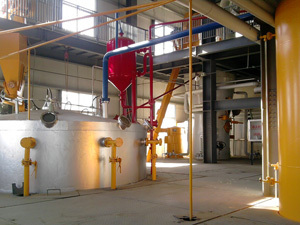 De-waxed / bleached oil from intermediate storage tank is pumped by two primary heating plate heat exchangers, which are used only in startup conditions to heat the incoming cold de-waxed oil. Further it will be travelling from oil to oil heat exchanger, where de-waxed oil is getting heated by the outgoing hot refined oil. Then this oil is going to the PRE-HEATOR Via. Peripheral coils of the regenerative heat exchanger which is the bottom compartment of the multipurpose deodorizer. In regenerative heat exchanger de-waxed oil flows through the coils & refined oil flow through the open space of the exchanger. 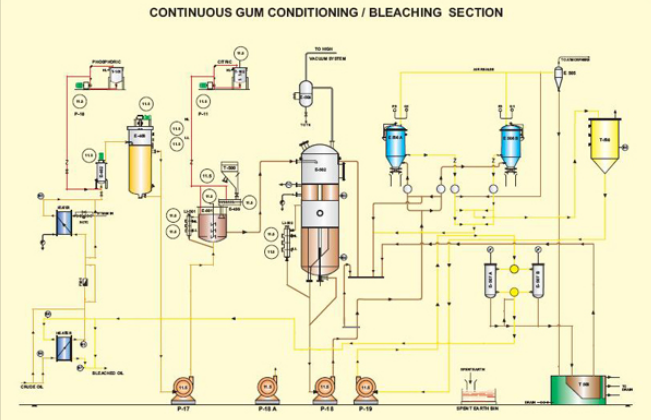 In counter current manner, continuous steam agitation in open steam side assures continuous and maximum heat exchange. After recovering maximum heat from the refined oil, oil is further heated up to the required temperature, suitable for the deodorizing in final heater. This heater is equipped with agitation steam, continuous flow of superheated steam through this assures effective primary vaporization of fatty acid. Further this overflows to the multi-compartment DEODORIZER. Deodorizer is multi-compartment vertical vessel, where each and every tray are specially designed which ensures uniform distillation of odoriferous substances. Oil is overflows from tray to tray. Specially designed trays provide sufficient mass transfer surface for effective removal of volatile matters. Flow control system at the outlet of the deodorizer, ensures the maintenance of the required level at the bottom tray. The steam used for stripping off volatile matters in the oil is distributed evenly and intensively the steam meets the deodorized oil. Stripped off the volatile matter and rises through the vacuum are stripping the volatile matter from the oil. The counter-current flow of steam and oil like this in specially designed trays lower steam consumption, than the conventional deodorizers. The deodorized oil leaving a regenerative heat exchanger and finally cooled by water in a heat exchanger, finally this oil is passed through the alternatively operating set of polishing filters. If you are interest in our physical oil refinery plants or you want to buy our machinery, please don't hesitate to write to us from the following form, we are always at your service!